The 16th annual Boston Latino International Film Festival concludes Sept. 30, when audiences can still catch shorts, documentaries, and one of the highlights of the festival, Gustavo Rondon Cordova’s debut feature from Venezuela, “La familia,” at 4 p.m. at the Emerson Paramount Center, Bright Family Screening Room. This neorealist drama is about a single father, Andres (Giovanni Garcia), and his 12-year-old son, Pedro (Reggie Reyes), who flee the outskirts of Caracas after Pedro seriously injures a peer with a knife during an altercation in the streets. The gritty film unfolds over the next two days, as Andres, fearing retaliation from the injured boy’s family, hides out to protect his son. Newcomer Reyes is a nonprofessional; Garcia starred in Roberto Calzadilla’s debut feature, “El Amparo” (2016), which Cordova edited with Mariana Rodríguez. After a successful first year in 2017, qFLIX Worcester, an LGBTQ+ film festival, returns Oct. 11-14 to the Hanover Center for the Performing Arts. 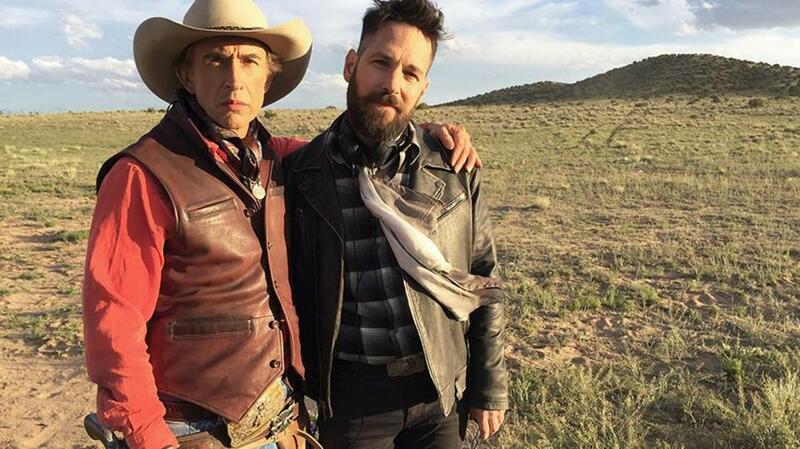 The festival opens at 7:30 p.m. with Andrew Fleming’s new comedy, “Ideal Home,” starring Paul Rudd and Steve Coogan as a bickering, long-term couple forced to face reality when a grandson suddenly shows up looking for his family. Director-writer Max Emerson’s debut feature, “Hooked” (Oct. 12, 9:30 p.m.), is about the life and relationships of Jack, an 18-year old hustler. A hit on last year’s festival circuit and at Boston’s 2018 Wicked Queer festival, Canadian filmmaker Ingrid Veninger’s “Porcupine Lake” (Oct. 14, 1:15 p.m.) is a coming-of-age movie set in a small town in northern Ontario during summer as two adolescent girls discover their romantic feelings for each other. The festival closes on a campy note Oct. 14 at 8 p.m. with “My Big Gay Italian Wedding,” Alessandro Genovesi’s comedy from Italy about a young man, Antonio, who brings his fiance, Paulo, to the Italian village of his birth to meet his headstrong parents and reveal his sexuality. A new film event on the scene, the Lonely Seal International Film and Screenplay Festival, debuts at the Regent Theatre, in Arlington, Oct. 5-6 with a host of shorts, documentaries, and features from around the world. “Mass Appeal,” a selection of short films from Massachusetts filmmakers, screens Oct. 5 at 12:45 p.m. Among the entries is “Kid’s Table: What Happened to Alicia,” a musical coming-of-age story told with puppets from Boston musician Ben Levin and Baltimore director Greg Bowen. Features include Zimbabwean filmmaker Tatenda Mbudzi’s comedy “Zim High” (Oct. 5, 3 p.m.), billed at the first-ever African teen movie. It concerns the tribulations of an anime enthusiast and high school social outcast. Director Samuel Wickey also stars in “My Amish World” (Oct. 6, 6:15 p.m.), a drama about an Amish family dealing with an autistic child who is bullied at school. Guests from the Huntington Theatre Company’s current production, “Sherlock’s Last Case,” and mystery author Julie Henrikkus will talk about the classic whodunit genre following the Oct. 1, 7 p.m. screening of “Clue” (1985) at the Coolidge Corner Theatre as part of its Stage and Screen series. Based on the popular board game, director Jonathan Lynn’s comedy features a cast of suspects including Eileen Brennan (Mrs. Peacock), Lesley Ann Warren (Miss Scarlet), Michael McKean (Mr. Green), Christopher Lloyd (Professor Plum), Madeline Kahn (Mrs. White), and Martin Mull (Colonel Mustard).